I don’t gamble so I have no need to venture into the Seneca Niagara casino in beautiful downtown Niagara Falls, NY. Besides I spent many hours attending various events over the years when it was known as the Niagara Falls Convention Center until the place started falling apart. 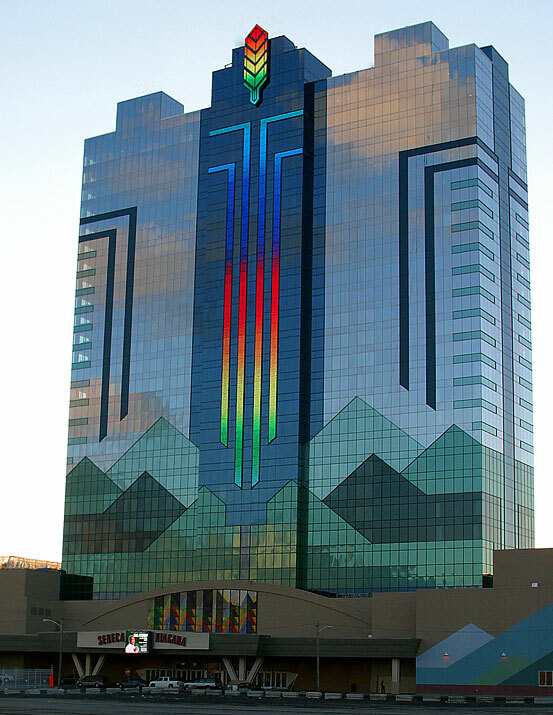 I stayed at a casino in Reno a few years ago while on vacation. Casinos are a lot like airport terminals. They all look the same whether you are in San Francisco or Wichita. However they do have appealing bar and restaurant facilities which accomodate all types of people and events. Apparently it was at the bar in the Seneca Niagara Casino on Feb 10 that New York State Senator Grisanti and his wife got into some type of altercation with a couple of Native Americans, resulting in a concussion for the Senator’s wife and some bad press for the Senator. In the aftermath there’s been finger pointing coming from both sides as to the real culprit. The Native Americans, who were drinking at the bar (duh) are accusing the Senator of starting the fracas, while the good Senator was being the peacemaker and tried to break up the fight, which resulted in his wife suffering her injuries. Something is rotten in Denmark folks. I don’t think we will ever get the real story but what amazes me is this: Why would a State Senator, a public figure, try to break up a fight between 2 drunk Native Americans, in one of their casinos? Are you nuts? Didn’t you watch any John Wayne movies when you were a kid? The last white guy that got involved in a fight with Native Americans was George Custer, a US Army General. Remember how that one turned out Senator? He got beat worse than the Buffalo Bills in Super Bowl XXVII. Of course that is the politicians side of the story. The Native Americans and their party are claiming the other side were the instigators. And all that they managed to do was give outsiders another reason to thrown stones at Buffalo. We don’t need it thank you! It was reported that the Senator and his wife are banned from the casino for 3 years. I have an idea Senator. If you don’t get re-elected you could move to Reno. They have lots of casinos, run by white guys.